The 2017 EFRC PI meeting was held at the Marriott Wardman Park Hotel in Washington DC on July 24-25. 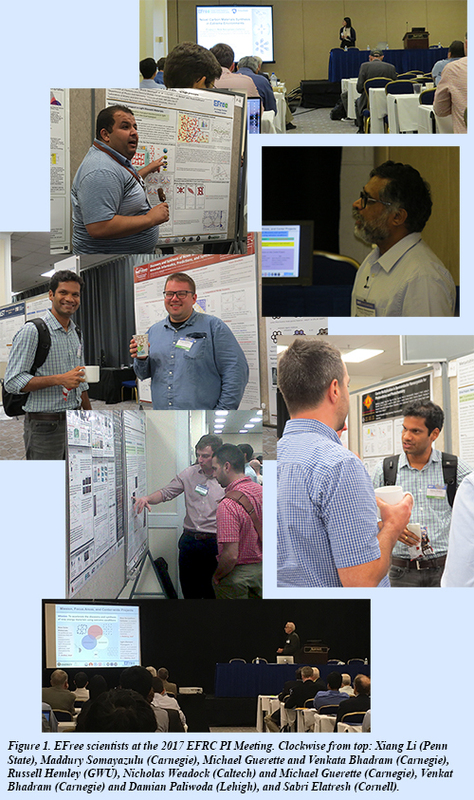 After plenary lectures on the possibilities for exascale computing and the future of quantum information science, the meeting featured highlight presentations from each of the EFRC, CMS and Hub directors, along with technical talks and poster presentations by personnel from the EFRCs. A graphical agenda is available here, and the program book with abstracts is posted here.